As more organizations implement desktop virtualization, a key consideration is the ability for centralized storage to support the high concentration of workstations running in a virtual environment. 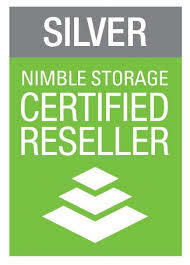 As a Nimble Storage Authorized Reseller, the Keller Schroeder technical team can design and implement a storage solution that can improve the performance of your business – whether you are considering virtualization of your server or workstations or are handling changing requirements to your existing virtualized environments. Nimble Storage eliminates the performance vs. capacity tradeoff by building adaptive flash storage solutions from the ground up to integrate the speed of solid-state storage with the efficiency of high-capacity hard disks. Nimble utilizes a unique architecture called Cache Accelerated Sequential Layout (CASL™) that delivers the very best flash and hard disk have to offer in a solution that offers performance, scalability, and seamless data protection. Standard with every Nimble Storage array is InfoSight™, a cloud-based management tool that uses deep data analytics to radically simplify storage lifecycle management. The Nimble Storage products Keller Schroeder offers are compatible with popular applications such as Microsoft Exchange and SQL Server, as well as solutions from Citrix, Cisco, and VMware. Please contact your Account Manager to learn more about Nimble Storage solutions designed to put technology to work for you!